Home remodeling is a great way to take the home that you love and transform it into something new and exciting. 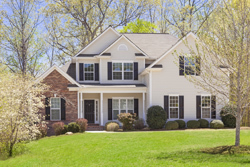 Whether you need to restore with some fresh paint, renovate with some new cabinets, or remodel with an entirely new plan, we are the home remodeling contractor of choice. If you ask us to restore a room or the whole home, we will apply fresh paint and it will be as good as the day it was built. If you ask us to renovate, we will take it a step farther and can replace cabinets and give everything a new and fresh feel. If you want to go so far as a full home remodeling, we are prepared to do that as well. We can move walls, plumbing and even staircases if required. As your choice home remodeling contractor, we will handle the entire process for you. Contact us as soon as your decide the work needs to be done. If you want to brighten up your home, the kitchen is a great place to start. There are many home remodeling options in the kitchen, and we will custom design the whole room for you. This can include cabinets, paint job, flooring, backsplashes and new appliances. Those are simple ideas that only scratch the surface. We are only limited by your imagination. Bathrooms are also frequent targets during a home remodeling, especially in older homes. A new bathroom can have a big impact on the level of comfort in your home. There is a lot of room for custom design in a bathroom as well, so let us see what we can do for you. Bedrooms and living rooms can benefit from a gorgeous new floor and a fun new coat of paint. Let’s face it, some of the color choices that were made in the 70s are highly questionable, and a new coat of paint can change the whole feeling of the room. Let’s explore the possibilities for your home today! We have been in the home remodeling business for many years. In that time, we have learned that you need a home remodeling contractor that is truly committed to creating your custom designs. Working hand in hand with you is the best way to make your home remodeling job come out right. We want to make that old space feel entirely new, but we know that it has to be exactly what you had in mind before it started. As a licensed general contractor, we will make sure that your home remodeling is the high quality work that you expect and that we take pride in. Check in with our staff right away to find all the potential in those old rooms. 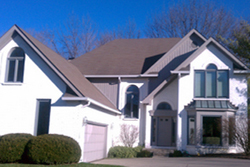 We do home remodeling in Carmel, Fishers, Noblesville and surrounding cities.